It's been five months since Kenneth Warden's yard was washed away after a big storm. Since then, Warden and his wife have received no help from the city -- everybody they talked to keeps saying they're on their own. INDIANAPOLIS -- It's been five months since Kenneth Warden's yard was washed away after a big storm. Since then, Warden and his wife have received no help from the city -- everybody they talked to keeps saying they're on their own. 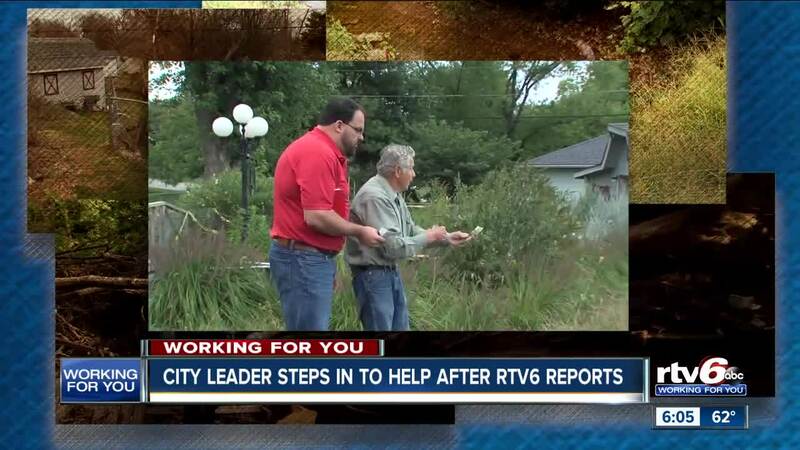 Councilor Jared Evans first learned about the Wardens' problems after an RTV6 story aired in early September. "I don't know how people can feel like regular folks are responsible for large capital projects that are more expensive than their homes," Evans said. The Department of Public Works has repeatedly said that it's a private property matter that the Wardens have to pay for. The Wardens have estimates close to $100,000 for a home that's already paid off. "It's not even our problem in the first place," Kenneth Warden said. "It's the city the state's problem it's their ditch." Kenneth Warden has been fighting. He's reinforced the creek bed on his property as best he can. 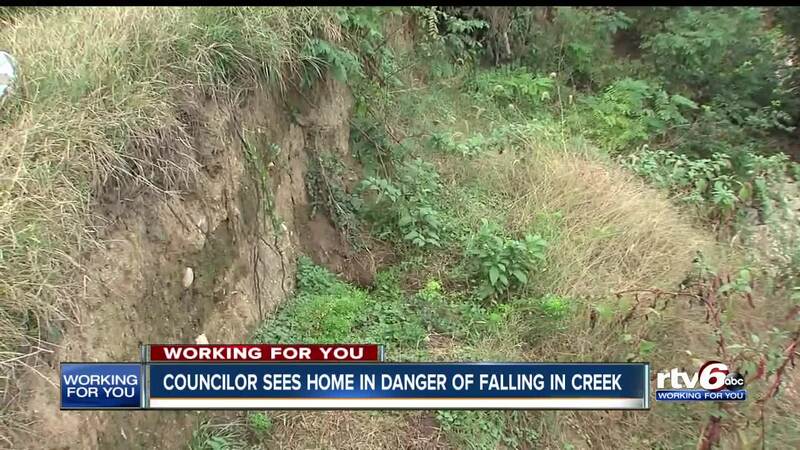 "Their ditch caused this damage to my property and they're trying to tell me I gotta pay a hundred thousand dollars to fix it," Warden said. "It's basically a bathtub and we can't get the water out. "It's gonna flood everybody." Evans said he will work to address that issue first, but says something may need to be done in the state legislature to ensure this doesn't happen to someone else. "No way, shape, or form should anybody who bought their home 40 years ago -- 50 years ago, which is the case of him," Evans said. "Think that he somehow is responsible now for the creek after hundreds of development deals that it's rising and that he's responsible for that it's ridiculous." Kenneth is hoping something can be done soon because he knows what the consequences will be if it isn't. "Need to pray that there's not more rain because we're gonna be underwater if something's not taken care of," Kenneth said. Evans said he's going to take the issue to DPW and the Mayor's Office to see if anything can be done.